Stan Ong’s love of running was cultivated at a young age playing semi-professional soccer at 12 years old. He has a wealth of experience and knowledge in running science and coaching. He is a VDOTO2 certified coach with the Run SMART program headed by the legendary Jack Daniels. Stan’s current marathon PB is 2:51:31, which he achieved at the 2018 California International Marathon. Larry Lewis draws on a wealth of running knowledge and enthusiasm from his years of training and racing and from experience gained as a Running Room Marathon Instructor. A cross country and middle distance runner since elementary school, Larry has competed in 16 marathons (PB 2:51:22) including 3 Boston Marathons as well as 2 ultra marathons and many half marathons and 10ks. 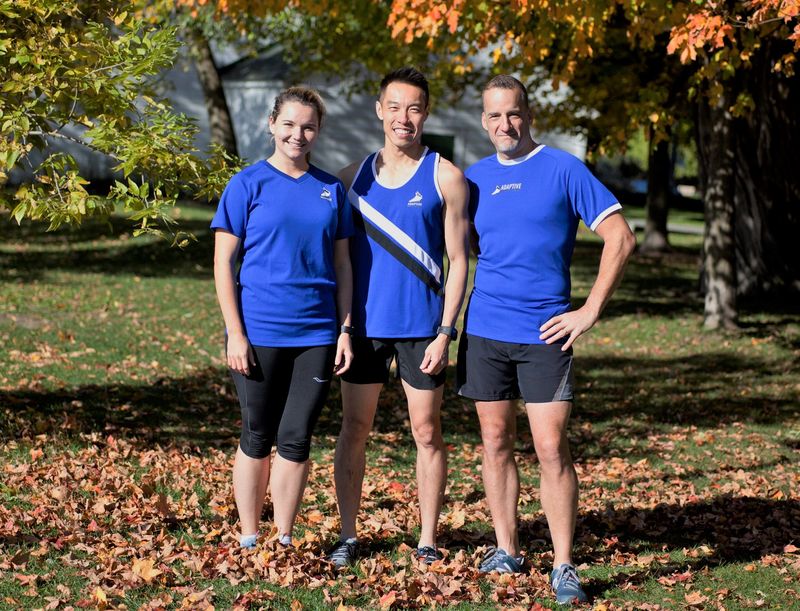 He is active in the running community as a member of the support staff and ambassador for many GTA races including The Canada Running Series (Toronto Scotiabank Waterfront Marathon, Zone Director), MEC racing series (2017) and Toronto Women’s Run Series. When not training with Adaptive, Larry is an Event Coordinator with the Beaches Running Club, part of the Fluid Crew with Run TO Beer, and a member of the Lower East Side Runners.